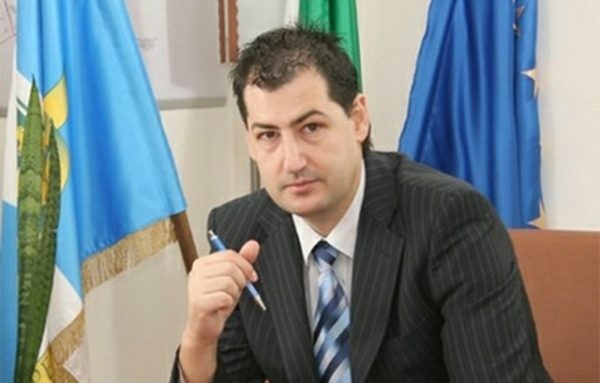 Bulgaria’s largest parliamentary party GERB has expelled MP Zdravko Dimitrov from its parliamentary group and called on him to quit the National Assembly after he announced that he would stand as a candidate in Plovdiv’s mayoral elections against GERB’s official candidate, mayor Ivan Totev. Totev, mayor of Plovdiv since his victory in the October 2011 elections in Bulgaria’s second city, is among major city mayors that GERB has confirmed it will back in the October 2015 elections. Dimitrov was elected to Parliament on the GERB ticket in October 2014 for an electoral district in Plovdiv. Speaking to reporters in Plovdiv on July 21, Dimitrov said that he would stand as a mayoral candidate and would go into the elections with a full list of candidate mayors and candidates for district mayors. The names would be announced later, he said. He insisted that he would remain a member of GERB and said that the party could exclude him only if he violated its “statutes and morals”. GERB was a “good political project, but in places there are gaps,” Dimitrov said. He said that if he lost the mayoral election, he would still remain a GERB member, and if expelled from the GERB parliamentary group, he would sit as an independent MP. Responding to a question about rumours that he had backing from the Reformist Bloc, the centre-right coalition that is minority partner in the national coalition cabinet, he said that he had “conducted no official talks with anyone”. Asked why he was standing as a mayoral candidate, Dimitrov said he could see that people were not happy with the running of the city, because it was not orientated towards citizens, and added that “many mistakes had been made” and decisions taken without consultation with various professional organisations. Later on July 21, GERB issued a statement saying that Dimitrov had been expelled from its parliamentary group and should resign, given that he owed his seat in the National Assembly to having been on the GERB ticket, and had not been elected by an independent ad hoc committee. Opinion polls in Plovdiv recently have shown Totev to likely be the strongest candidate, having been highly active in renovation and restoration projects in the city, notably in its centre where parks have been refurbished, along with attractions such as the restored musical fountain. Plovdiv’s mayor and GERB candidate for re-election on October 25 2015, Ivan Totev. During Totev’s mayoral term, Plovdiv won the accolade of being named European Capital of Culture 2019. However, some projects in the city have been the subject of local controversy, notable the plan to renovate and redesign the city’s zoo.